Is ProHeart6 A Safe Heartworm Prevention for Dogs? Is ProHeart6 a Safe Heartworm Preventive for Dogs? Heartworm infection can be detrimental to your dog, and the drugs used for treatment are not what you would call "mild". 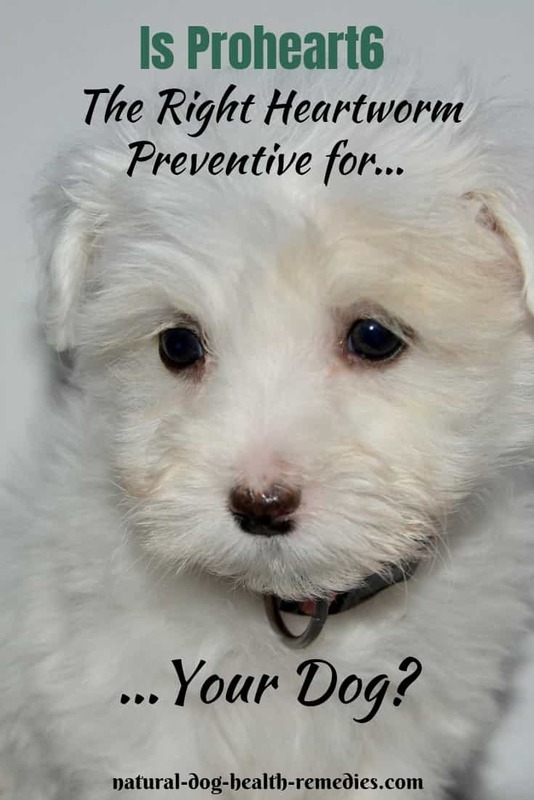 Therefore, taking preventive measures to protect your dog against heartworms is extremely important if you live in a place where mosquitoes are aplenty. Recently more and more veterinary practices are promoting "ProHeart®6" - the one-shot heartworm drug that lasts for 6 months. Or, if you live in countries like Japan or Australia, "ProHeart®12" - one-shot treatment that lasts for 12 months. Should We Use ProHeart6 for Heartworm Prevention? 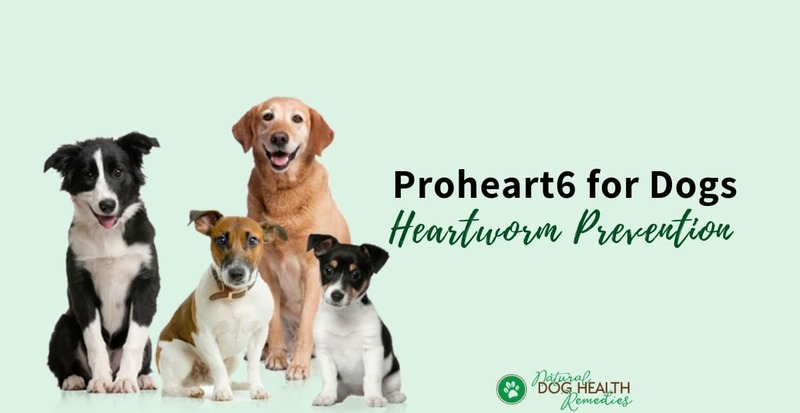 ProHeart® 6, an injectable heartworm prevention drug (active ingredient: moxidectin), was first approved by the FDA for veterinary use in heartworm prevention in June 2001. However, due to an increasing number of reports on adverse side effects caused by ProHeart 6 that came out between 2001 and 2004, the drug was withdrawn from the market in 2005. According to some veterinarians, the side effects were caused not by the active ingredient moxidectin, but because of the delivery system of the drug in the way it was being administered. In September 2008, ProHeart6 was re-formulated and re-introduced into the market under a "FDA CVM RiskMAP" (Risk Minimization Action Plan). Then in August 2013, the restrictions were eased. Now, basically dogs of any age (over 6 months) and without any health issues can be given the injection. No consent forms from dog parents are required. Moreover, not only vets but also veterinary technicians trained in the drug's use can administer the drug. According to the company (Zoetis) that manufactures ProHeart® 6, this drug is generally a very safe and effective heartworm prevention drug. However, they do have a Client Information Sheet on their website with warnings about possible adverse reactions. A search on the Internet also revealed quite a few reports of adverse side effects suffered by dogs (of all ages) after receiving the drug. Bleeding problems leading to anemia. There were also several claims by dog owners that their dogs died as a result of the injection. Should We Use ProHeart 6 for Heartworm Prevention? Given the convenience of this drug (one shot annually instead of monthly administration of heartworm tablets), many dog parents may lean towards using ProHeart 6 as a heartworm preventive measure for their dogs. However, in view of the large number of reports on adverse effects of the drug between 2001 and 2004, and the relatively short time span (2008-2014) that the drug has been re-introduced into the market, I would rather be on the safe side and use the "traditional" chewable tablets for the time being. There is still not enough research data and information out there to show that the re-formulated ProHeart 6 is safe. For a drug to be effective for 6 months (or even 1 year in the case of ProHeart 12), it has to be in the form of microcapsules, to be injected subcutaneously (under the skin). The drug is released from the capsules little by little over a period of 6 months (or 12 months depending on the drug) into the dog's bloodstream. Now, the problem is, if a dog shows adverse reactions after the injection, there is no way for the drug to be removed from the dog's body. On the other hand, if a dog shows adverse reactions after ingesting a monthly tablet, the effects would be more short-lived and the damage not as bad. Finally, if your dog is old (like mine), I would really advise you not to take the risk. Liver damage and failure occurs more easily in older dogs. Please do ask your veterinarian about the pros and cons of this drug, and make an informed decision on your own. Don't let your vet pressure you into using this drug if you have any doubts or reservations about the safety of the drug. One last point to remember (and I am not "vet-bashing" or anything - just stating the facts): ProHeart® 6 is a prescription-only drug, which means you can only get it from your vet, as opposed to other heartworm preventives which can be bought from online pharmacies. Therefore, this drug is a good profit source for vets and many of them look at it that way. That's why some vets may pressure dog parents into using this drug. So be warned! ProHeart6 is not administered at the same time with other forms of vaccinations. Consider using Milk Thistle to support your dog's liver when s/he is taking heartworm pills or has received the injectable drug. Learn more about the symptoms and treatment of heartworm in dogs.